Hi Jason, congrats on the Evil Twin release – what’s it all about? 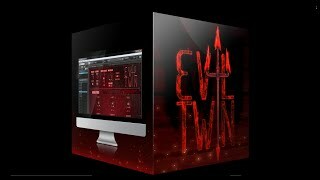 Evil Twin is our first large undertaking creating a Reaktor 5 and 6 software ensemble. 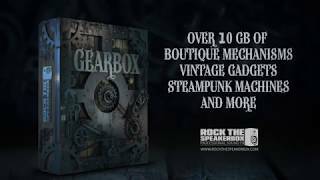 It is meant for creating cinematic sounds, BPM synced rhythmic loops, granular effects, glitches, hard impacts, and drones. It sounds like Evil Twin has been quite an undertaking – how did the idea come about in the first place, and how long have you been working on it? Yes! We have been working on it for the last year and half. It’s one of our longest developed software tools. Mostly because it took some time to learn building in Reaktor, testing, and implementing all the features and visual look that we wanted. 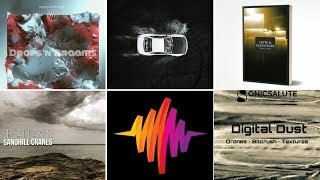 We also have around 100 presets made by Richard Devine, Ivo Ivanov, Yan David, myself, Rodrigo Rubilar, and Vincent Labelle. Is this the most ambitious project from you guys yet? And what makes it stand out, in your view? Definitely one of our most ambitious projects. We really wanted this tool to be a number of things: useful, addictive, interesting, and fresh. I think we’ve achieved this, because even to this day I still love opening and using it, it’s hard to stop playing with Evil Twin. So if I’m addicted to it, there is a good chance other people will have the same feeling. Who has been working on this one? 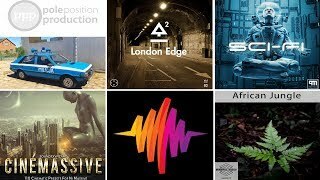 And I see that people like Richard Devine, Ivo Ivanov and more have been doing presets for it – how did they get involved? Yan David, my partner and other co-founder of SoundMorph is the main programmer and builder. Him and I worked together on the concept, and creative choices, but he is the brains behind the programming of Evil Twin, and is quite a genius! Yan has an incredible ability to learn new things quickly, and to really combine programming with creativity. He has a pile of about 6 math books reaching 2 feet high with everything from trigonometry to calculus in them, and he actually reads them all and retains the information. Something that would be difficult for me to do. Not all that math is needed for Reaktor, however we are planning to move into creating plugins for VST/AAX/AU in the future, so advanced math and C++ knowledge is required for that. Our partnership is special because we really complement each other in areas where one is strong and the other is weaker, and we also are best friends, so it works out great! As far as others who worked on it, as listed above we had some great presets made from our friends Richard Devine, Ivo Ivanov, and local composers here in Montreal. Their feedback and contribution was very valuable in us debugging Evil Twin and ensuring that when it launched it was the best we could make it. I came up with the visual concept, writing, story, and did sound design and mix for the launch trailer. Those take A LONG time to make. I think it helps tell an interesting story and build up some excitement for viewers and customers. Often we get asked why we bother making them, and some people even get pissed about having to watch them. Which is funny to me! But I’d say 99% of people really enjoy watching what we make with our videos as well. To me it is really fun to do, it builds an interest in our brand and the related product. We are artists first, and businessmen second, so we enjoy making the videos a lot. What’s been the biggest challenge making Evil Twin – and how did you solve it? There are a lot of small challenges when doing something like this. For one, it takes a long time to do, so focusing resources on this takes away from other areas, but we felt that it was a well worth it endeavor. Just ensuring that the visuals are top notch, all the controls work as expected, the CPU is not drained, things like this. If you are familiar with Reaktor and look at the blocks of this behind the scenes, it is quite a masterpiece and very complex. 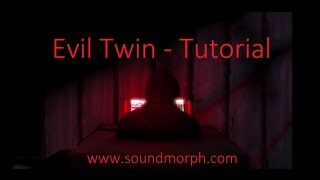 Can you share some insights on your sound design and recording processes for Evil Twin? We included a 128 custom SoundMorph samples with the sample map. Some of these were from existing libraries of ours, and some were fresh. We divided it into 3 categories basically: ambience drones, textured loops, and impacts. I think that the Knob Modulation is very interesting and fun to use. Virtually every knob in Evil Twin can be modulated by the LFO and Envelopes. Also the envelopes have very unique drawing and resolution functions. I’m also very happy that we have BPM synced loop control, this is essential if a musician wants to use Evil Twin in their music, and they can do that! Do you plan on expanding this project / doing add-ons down the road? We are dedicated to making more software for both sound designers and musicians. We have a few currently in production after this, and are very excited about those ones as well! We have a lot of what I think are great ideas, now it’s just finding time to make them all.